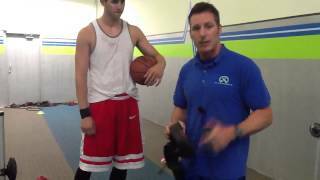 See 6'10" EFS Athlete perform EFS MICRO-SPEED™ exercises using Jumpsoles. EFS Training Science™ Uses Jumpsoles. Exclusive sports and fitness tips from Chris Morton at EFS Training Science.